The Porsche Mission E is a pretty exciting concept, there’s no denying that. But innovation isn’t free, and Porsche will have to set aside a good amount of cash in order to make its new electric sports car happen—including workers’ pay. According to Reuters, employees agreed to pay cuts and the total concessions will amount to several hundred million euros. The manufacturer announced in early December that it would spend about 1 billion euros in total—which equals around $1.1 billion—on the project at its Zuffenhausen base, and that producing the Mission E will create 1,000 new jobs in Stuttgart-Zuffenhausen. 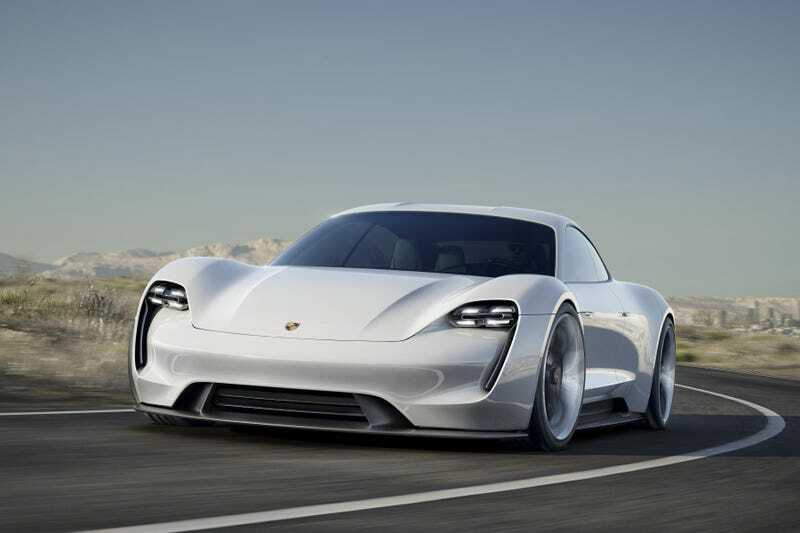 “Employer and employees have jointly drawn up measures that have led to the decision of producing the Mission E model at Zuffenhausen,” a spokesman for Porsche said on Tuesday, confirming a report by German magazine Automobilwoche. Zuffenhausen is Porsche’s biggest plant, and the only raise its 13,000 workers will receive is in work hours—from 34 to 35 hours per week. Monetarily, Porsche will phase out parts of a pay increase between the years 2016 and 2025. Compare that to the current Tesla Model S, one of the Mission E’s direct rivals that can charge up to 50 percent in around 20 minutes. But, keep in mind that Tesla still has a few years to improve those features before the new Porsche even reaches the market. The charging station is only part of it. On the road, Porsche predicts the Mission E to go from zero to 62 mph in 3.5 seconds and have a range of about 311 miles. The Model S currently goes from zero to 60 in 2.8 seconds with the Ludicrous Mode upgrade worth about $10,000, but its range is only at 270 miles. On the surface, the agreement to include wages in the Mission E cost cuts seems like some serious dedication from employees. We’ll have to see what else surfaces about the ordeal, and, when the time comes, whether it was worth it.